Round and non-round composite can bodies. Distinctive packaging provides product positioning in the marketplace. Non-round linear formed composite cans offer product uniqueness, efficiency to optimize storage, transportation and shelf space. 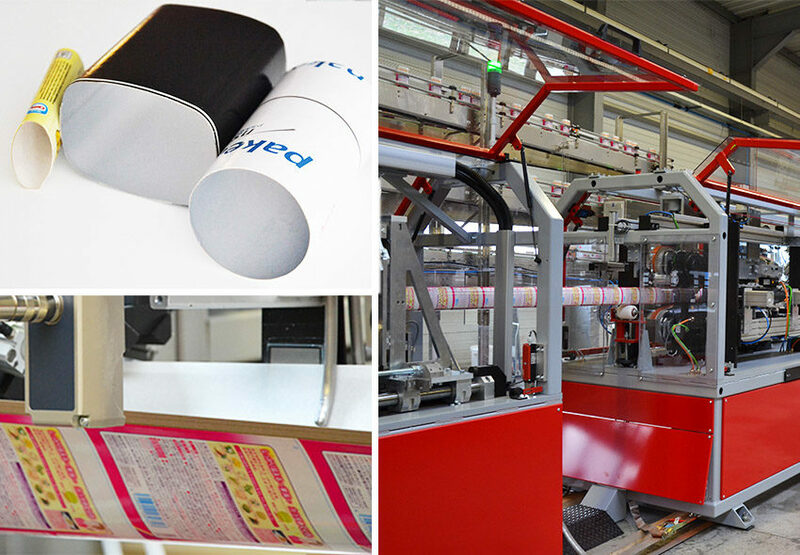 The patented SIRPAK® linear tube forming system provides the advantages associated with non-round shapes, but can also achieve higher package rigidity, great barrier properties for better product protection, larger “graphic face” for marketing purposes and high quality graphics. PAKEA range allows production capacities from 120 to 300 composite cans per minute. Come and discover our famous Sirpak, available for customer demos.